If you spend half of your weekend meal prepping for the week ahead only to spend your lunch hour eating alone at your desk, you’re doing it all wrong. Approximately 67% of office workers eat lunch at their desks, according to Shape. Of course, doing this makes you think you’re being more productive. But in reality, you’re not. And the break away from your desk to have your lunch can do you a world of good. You’ll come back to the office refreshed and ready to work on your next task, and you’ll also get to enjoy real life socializing with your friends and co-workers when you do. But where can you go to get away from it all (for an hour)? 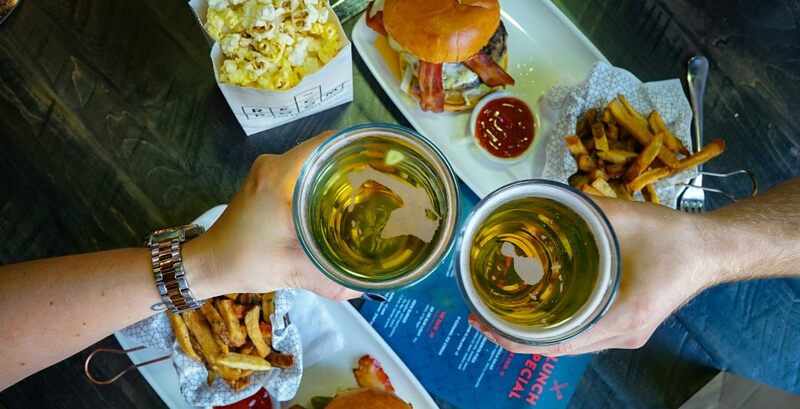 With a location in Calgary at Deerfoot City on 64th Avenue, another in South Edmonton Commons, and another at the West Edmonton Mall, this vibrant restaurant/bar/amusement centre/entertainment venue (seriously, it’s got everything) offers the perfect escape from the daily grind. The ultimate go-to social playground, The Rec Room is somewhere that provides a multitude of possibilities every time you visit. And now you’ve got even more of a reason to stop by its signature restaurant for lunch since there’s a brand new special lunch menu. If you want to have lunch away from your desk, this is the place. 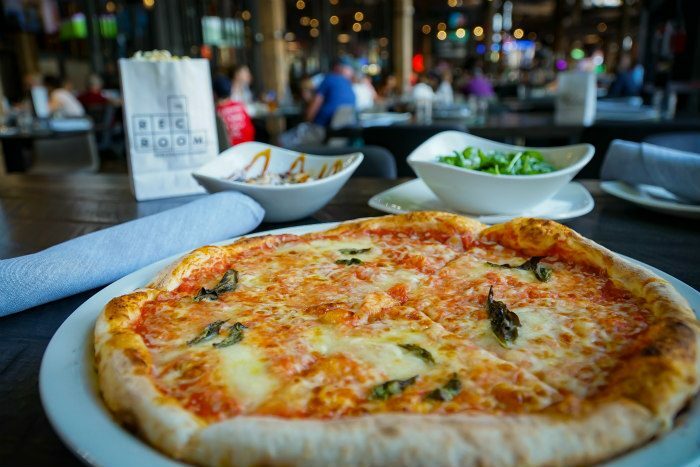 For just $15, treat yourself to the trio complete with an arugula salad, Margherita pizza, and delectable salted caramel ice cream at The Rec Room’s Three10 restaurant. Feeling a little bolder? No problem. 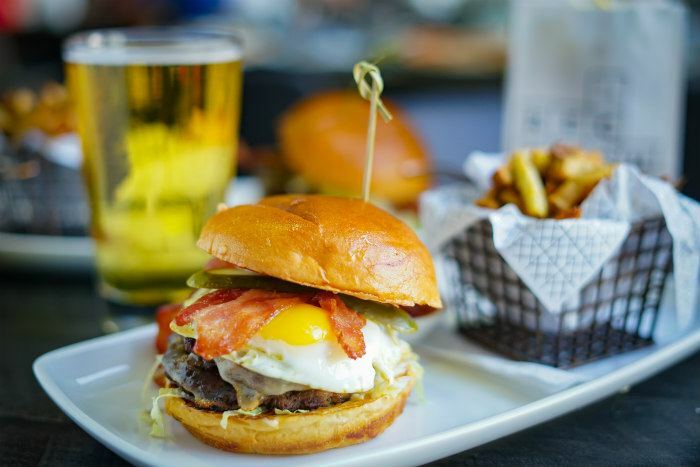 The $20 duo option comes with a Bud or Bud Light, and a succulent Three10 burger with house-cut fries or market greens. Stack on items like smoked cheddar, thick-cut bacon, or fried egg for $2 each, and really commit to getting the most out of your meal. Don’t worry if you’re not feeling either of these options. 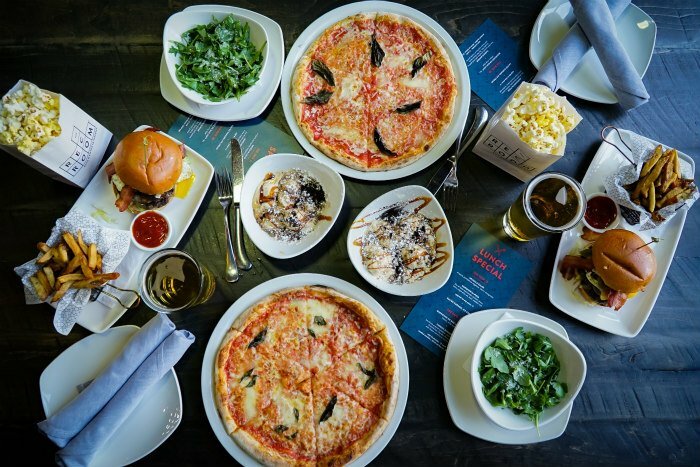 The Canadian-inspired menu at Three10 is packed full of options, from social plates to wood-fired pizzas, to soups and salads, personal plates, poutines, handhelds, and more. Check out the full menu here to see why it’s such a big deal — and so you can have an idea of what you want to order before you visit. Remember, a lunch break has (by definition) been designed for you to actually take a physical break from your desk to go and eat somewhere else. So let this week be the week you start to go out for lunch.